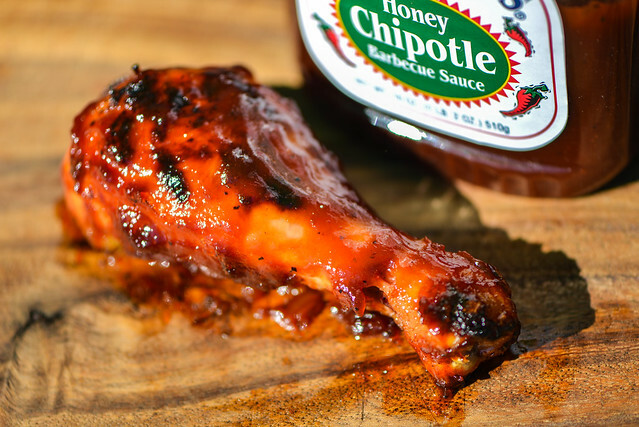 A pleasing progression of flavors that goes from sweet to tangy to spicy to smoky are ultimately lost after being grilled, making Sweet Baby Ray's Honey Chipotle Barbecue Sauce a mighty fine condiment, but not great baste. Most of my reviews come from readers submitting their sauces, or me picking up a bottle here or there while traveling. So it's becoming a rarity that I purchase a supermarket staple sauce and giving it a try—even if those reviews tend to be the most useful for those who'd rather grab a sauce at the store than deal with mail ordering. So I think it's time I get back to some sauce basics, and turned to a brand that hasn't let me down yet over a couple reviews—Sweet Baby Ray's. Sweet Baby Ray's has six different barbecue sauces, enough to keep me busy reviewing for some time. It wasn't always that way though. To get its legs, the original sauce first needed to win second place in the Mike Royko Ribfest in 1985, then be sold door-to-door by its creator, Chef Larry Raymond of Chicago. 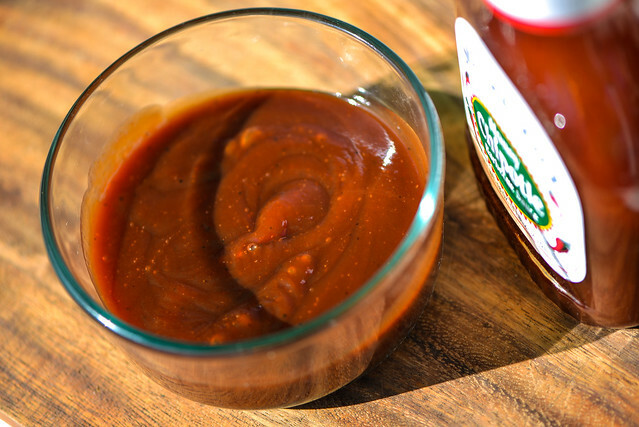 These efforts saw the sauce spread throughout the Midwest, then in the last half of the 1990's, it was rolled out to a national stage where it became the fastest growing barbecue sauce in groceries across the United States. There's not much honey to be had in the aroma department, instead the sweetness that dominates this sauce comes clearly from molasses. The molasses plays well with a tomato base that's more acidic smelling than sweet. Behind the molasses sits a slight vinegar tang that's just enough to tingle the nose, but not enough to bring it to the forefront. There's also a mellow earthy heat, as well as notes of onion in the background. Weighing in on the thicker side of medium, this smooth sauce clings heavily to a suspended spoon. Gravity takes a large chunk of sauce off in one giant glob, but most of the sauce remains securely to the silverware. You can make out a sparse black pepper specs here and there through the opaque, dark maroon hue, which may be masking the other spices at play. A super sweet and thick syrupy consistency is what pops out most on first taste. The upfront sugary start has depth thanks to its molasses origin, and then mixes with the tart tomato. That initial mellow acidity grows as the vinegar nudges its way in. The vinegar starts a little burn on the tongue which is then overtaken by chipotles that really deliver on heat, earthiness, and smokiness. This leaves a medium burn in the mouth once the sauce has completely left the tongue. Although honey is half of the namesake of this sauce, it was hard to discern, blending in with corn syrup and likely overtaken by molasses. 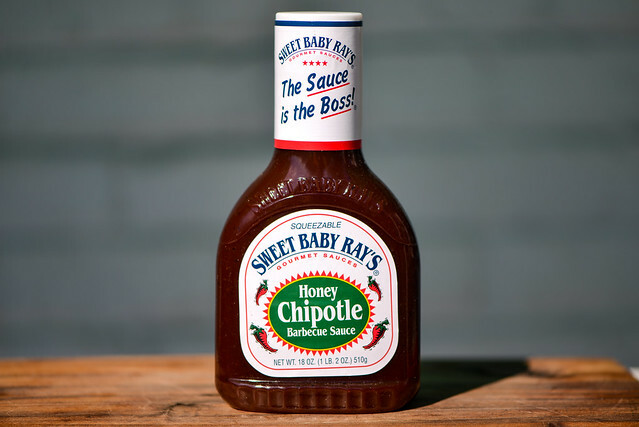 This sauce continued the impressive Sweet Baby Ray's tradition of handling like a champ on the grill—it coated nicely, baked down really well, and developed attractive caramelization over direct heat without burning. Unfortunately though, the flavor didn't hold up as well. It was still a tasty, sticky chicken leg, but most of the heat went away, making the sauce tip the scaled to almost completely sugary sweet. There was a little smokiness still present, as well as the fruity tomato base, but not much else to speak of. I've so far been pleasantly surprised by way Sweet Baby Ray's layers its flavors and the balance their sauces tend to have. 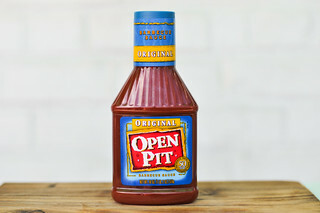 Even though you can taste some slippage in quality compared to the higher end sauces, it's still a very pleasant barbecue flavor and delivers a lot of bang for your buck. 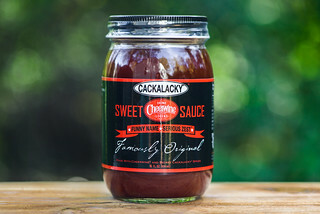 This Honey Chipotle variety holds up that trend with its multi-faceted layers out of the jar that present themselves in a nice progression from sweet to tangy to spicy to smoky. It's too bad that those flavors turned into a singular sweetness after being grill, especially considering how well the sauce performed with its grilling characteristics. 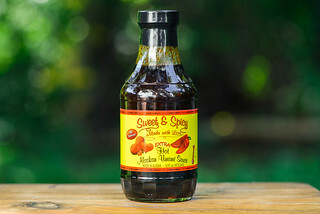 So for the full Honey Chipotle experience, I think this sauce it best out of the jar, used a condiment to top burgers or hot dogs, or as a dip for so grilled goodies like chicken, pork chops, and steak.